There are three different types of users in Lattice. 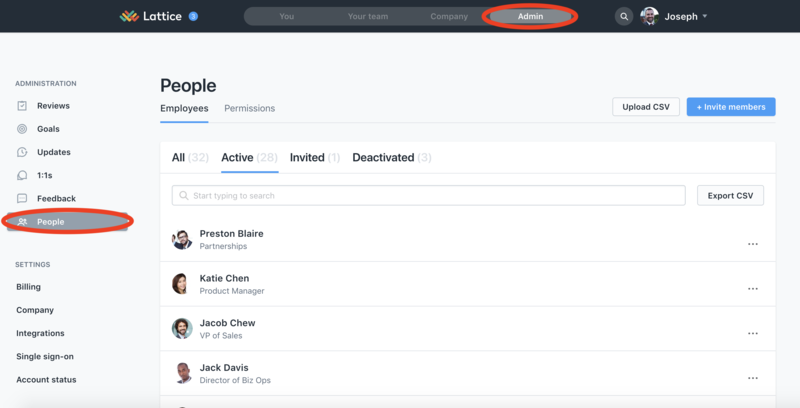 You can see which employees fall under each type on the "People" page under the "Admin" section of your Lattice profile. Active: Employees with a currently active platform on Lattice. Invited: Employees who have been invited to Lattice, but who have not yet created their profile. Deactivated: Employees whoa re deactivated will no longer be able to access their Lattice Accounts. Created: Created users will only show in Lattice if created via CSV upload or HRIS sync, but not yet invited.